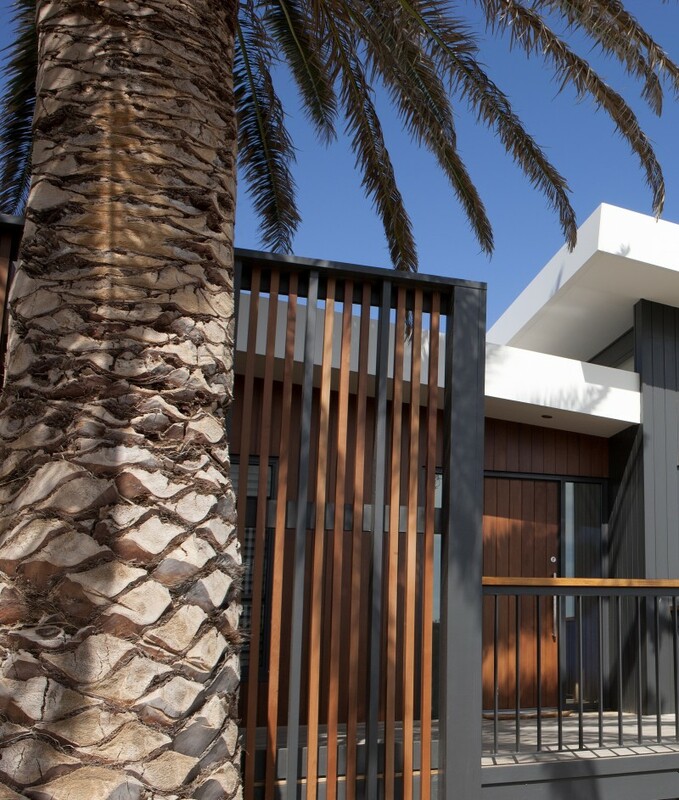 Completely removing the top level of this original beach house on the South Coast of South Australia, allowed Outset Design to transform this property into a contemporary beach house that integrates with it’s surroundings and maximises year round enjoyment. 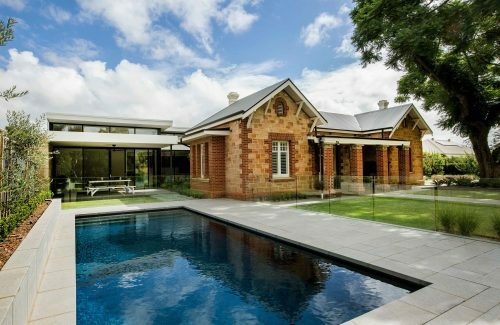 Utilising north facing vented windows makes the most of winter sunlight and to the south, large windows overlook the expansive encounter bay. 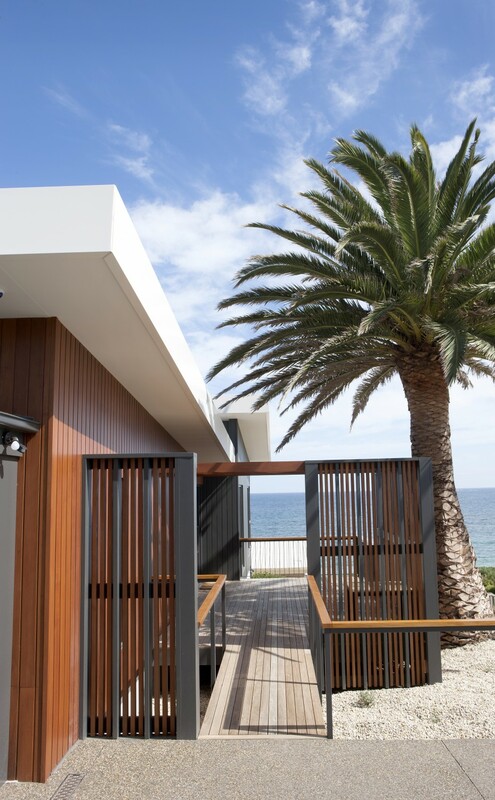 The rich timber exterior provides for the perfect beach holiday feel and as you venture inside you find a light and simple interior, open and spacious, ideal for entertaining and relaxation. 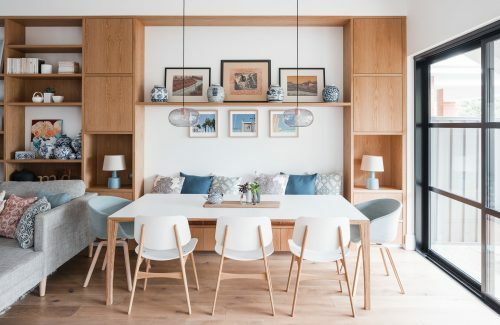 This holiday home is designed to be enjoyed throughout the entire year, whether you’re entertaining a group of friends for the summer or escaping for a cosy weekend in the winter. 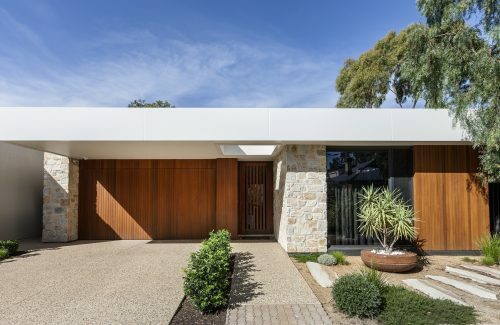 Removing the pre-existing top floor allowed us the keep the base structure in-place and reinvigorate the entire look. 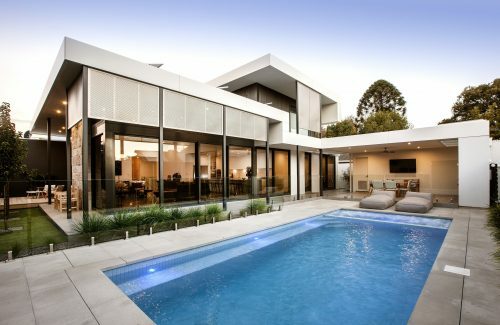 At Outset Design we focus on simplicity and purpose. 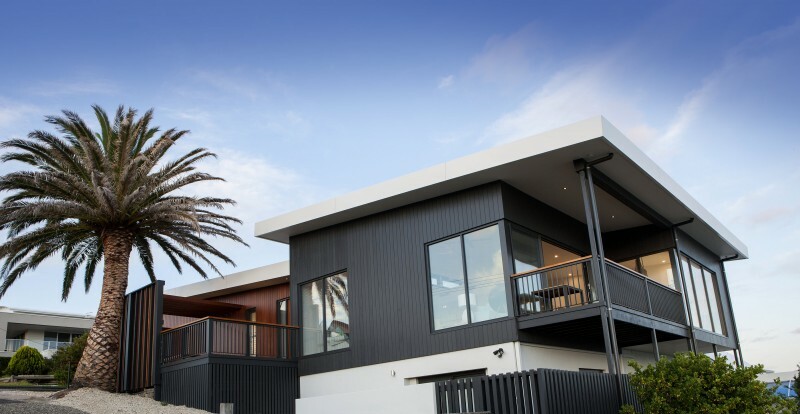 This beach house design exemplifies that attitude. 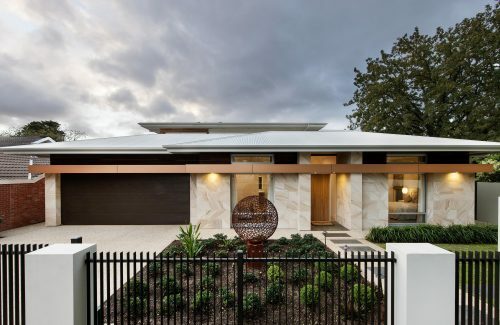 Incorporating this magnificent palm into the design was critical as it is a feature of the site. 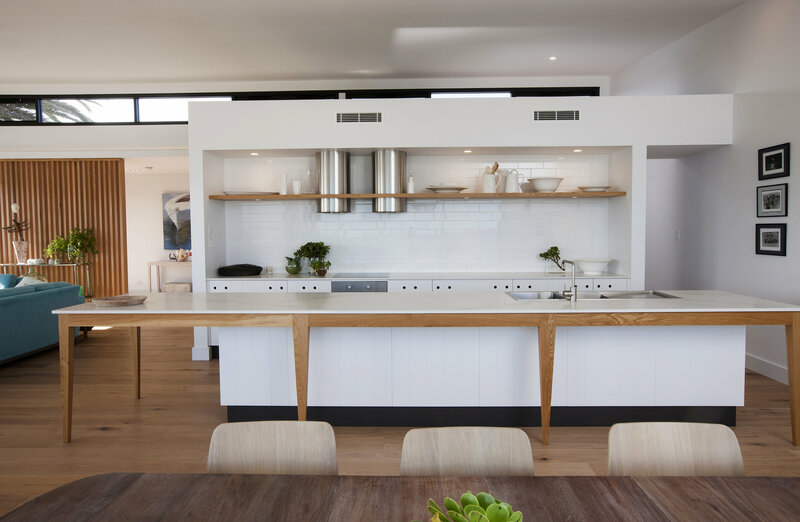 Part table and part kitchen bench - this kitchen is both functional and aesthetic. 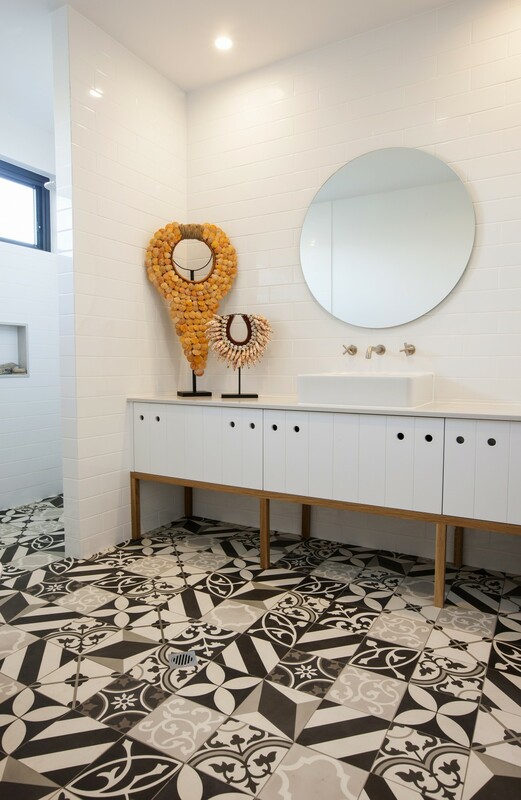 This floor feature tile exemplifies Outset's enjoyment of originality and style. 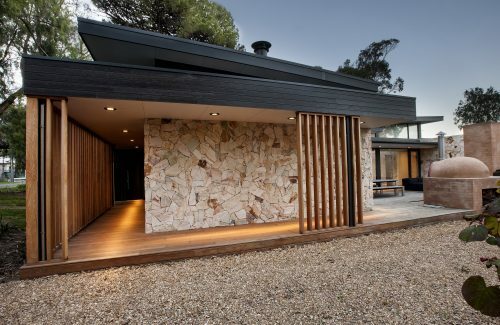 Here you can see Outset's eye for detail on display in this rich timber exterior. 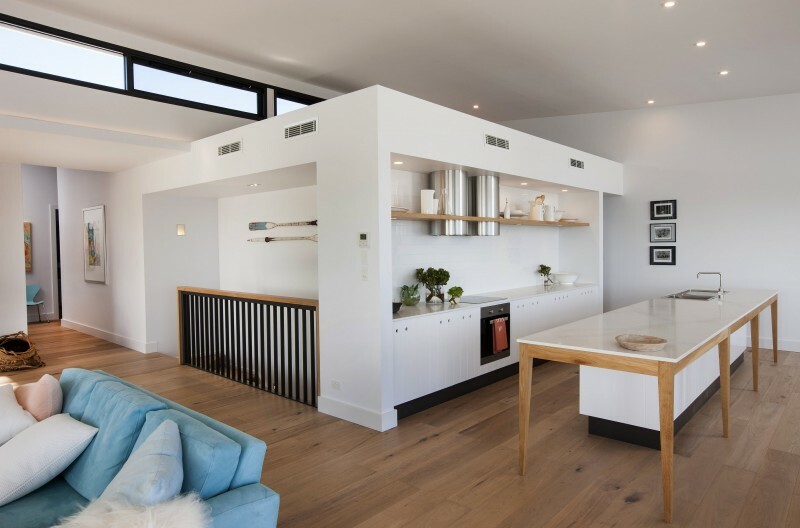 Bright furniture choices really make the most of the natural light that permeates this open plan space. 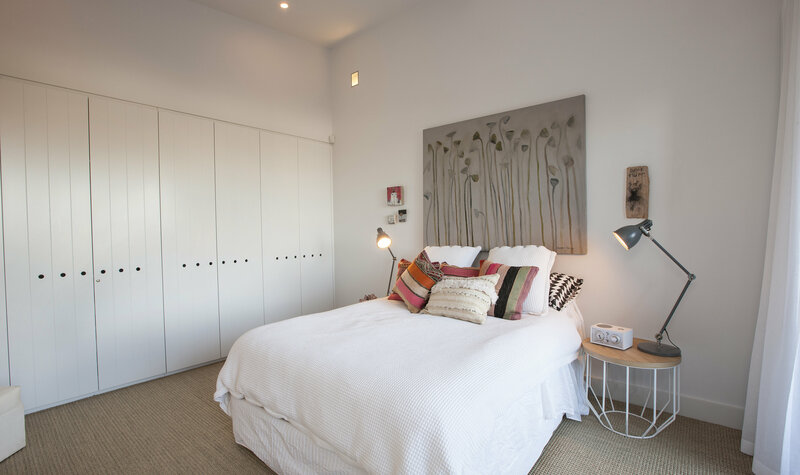 Modernising the existing bedrooms advanced the overall usability of the home. Once again functionality is a central aspect of Outset's builds. 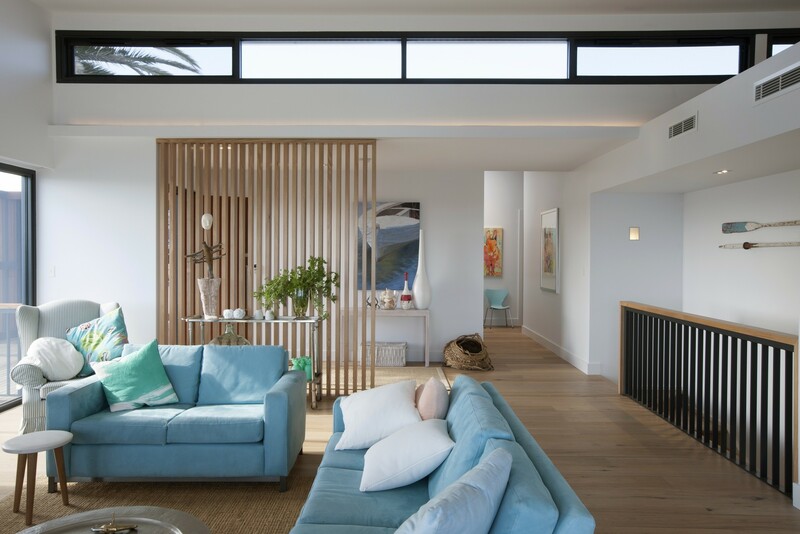 This beach house is built for purpose- playful and bright. 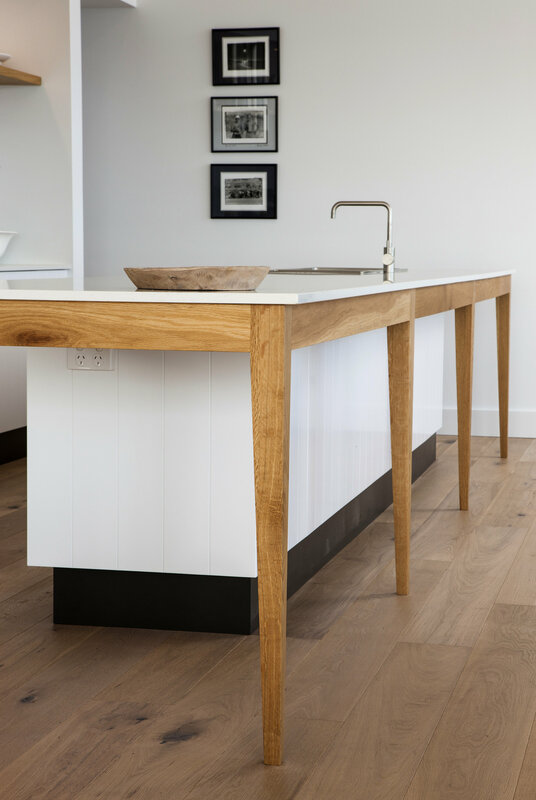 Up close you can see the beautiful timber in this kitchen bench tying in with the hardwood floor.